Something wonderful has been happening in the world of cheek colouring. Powder has its place - Chanel, Dior and Lancome all produced insanely pretty palettes this season- but the new generation of liquids, creams and gels is where the real magic's happening. We're talking silky, lightweight formulas! Innovative technology! Melty, sensorial textures! Add to that a range of flattering, fluid hues and it's clear that we're living in a golden age of blusher. And that’s great news for us, because nothing lifts and brightens the complexion like a gentle flush of colour on the cheeks. It’s never been easier to avoid the Bosco look while enhancing your natural glow. Of course, if the Bosco look’s your thang, then happy out: new-gen products are highly blendable, but can be layered for a more, erm, defined and rosy look. 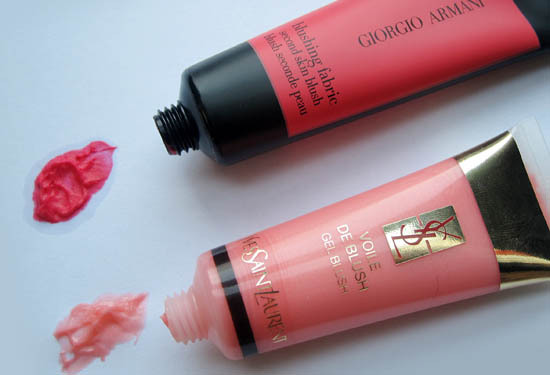 I owe my latest beauty obsession to the new YSL Voile de Blush (bottom). Priced at €38, this is limited edition and part of spring’s Candy Face collection. 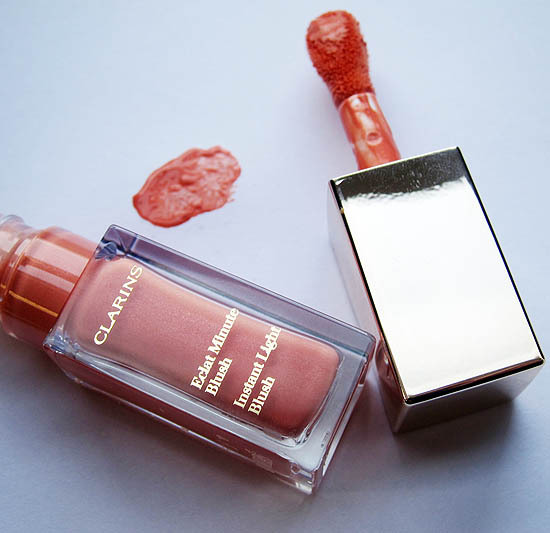 To the uninitiated, this little tube looks just like a lipgloss, but contains a lightweight, water-based gel that gives a sheer wash of colour to the cheeks. The shade I was sent is too light for me but would be fab on paler types. 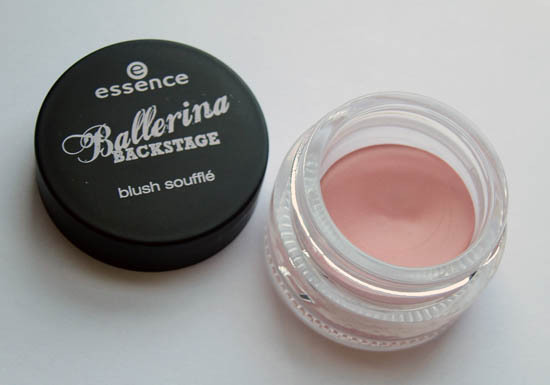 Another great pick for pale skinned Irish Beaut.ies, the Essence blush soufflé in Prima Ballerina is a cross between a gel and a mousse in a light, mauve-toned pink. I hunted high and low for this baby before finding it in a Santry chemist, for a tiny €2.99. Clerys told me it flies off the shelves and should be back in stock this June. But if you can’t wait that long, the brand will introduce three new shades of Soufflé Touch Blush, €3.49, later this month, in fresh apricot, frozen strawberry and cold wildberry. Sounds yammy! 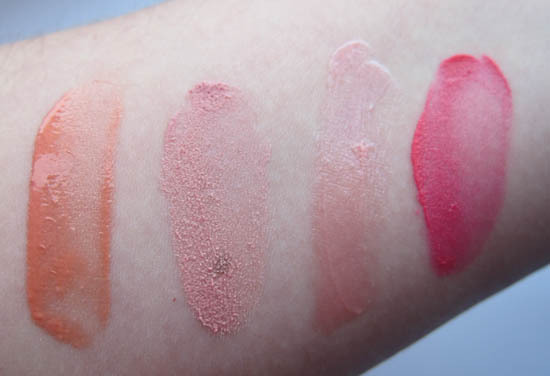 Next, a Pixiwoo review pointed me in the direction of Armani’s Blushing Fabric (top), a ‘second skin blush’ that initially launched in three colour ways. Further shades were added in subsequent collections and Brown Thomas Dublin currently carries four; the Cork store also carries the range. Unsurprisingly the palest (Fresh Baby Pink) is most popular on these shores but I plumped for Translucent Strawberry, a bright pink that sheers out to a velvety soft veil of colour. It’s €35.50 but you need the tiniest amount, and I was advised I’d get two years use from my 20ml tube. 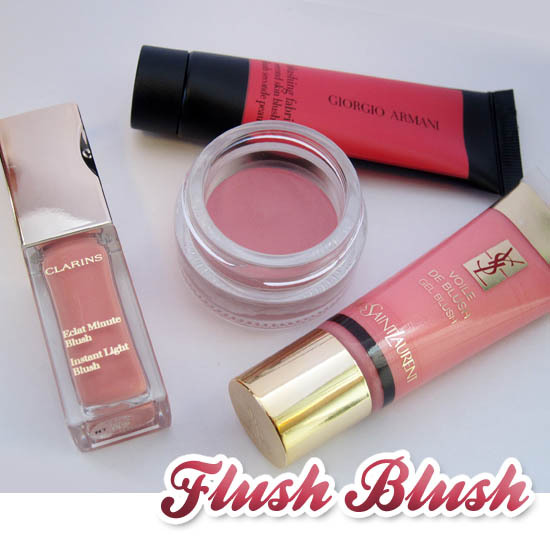 I’m also loving Instant Light Blush, new this season from Clarins. I was sent one in Coral Tonic, a peachy shade with subtle microshimmer that gives a light-reflecting glow. A brown and a pink are also on counter, all at a very reasonable €23. These are limited edition so grab ‘em while you can; pretty and flattering, these little lovelies really light up the complexion. The packaging looks like a high-end nail polish but the doe foot applicator is a little clumsy; pat some onto the back of your hand and it’s easy to apply with fingers or a brush. Last but not least, I want to tell you about a great spot from the Shu Uemura counter. Two Creamy Dome Blushers, €24, in a peach and a pink have been released as part of spring’s Celestial Garden collection, and with their silky cream textures they are extremely tempting. They’re so good, in fact, that I watched a woman swipe a tester right in front of me!